Welcome to Westbourne, the Pre-Preparatory Department of Edgbaston High School. 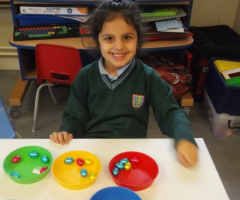 Pupils may join at any stage, in Nursery aged 2½, Kindergarten at 3+ or Reception at 4+. We have a superb purpose built Nursery with specialist play areas, ICT facilities and dedicated reading areas. Parents are encouraged to register their daughters early as places are often over subscribed. Every class has a fully qualified teacher and classroom assistant. A warm, caring environment is created and close links with families are quickly established. The School provides a Holiday Club which Westbourne girls can attend. The curriculum follows the Foundation Stage guidelines but many girls in Reception are working well beyond national levels. A good balance is created between learning through play and subject focused work. 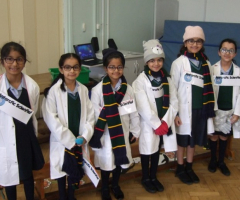 The girls are proud of their school and enjoy meeting visitors. Do come when the girls are in school. 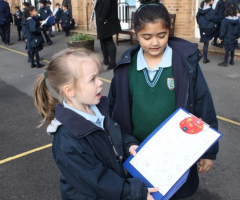 "From an early age, teaching encourages pupils to listen thoughtfully to others' views."